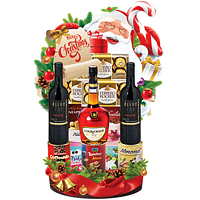 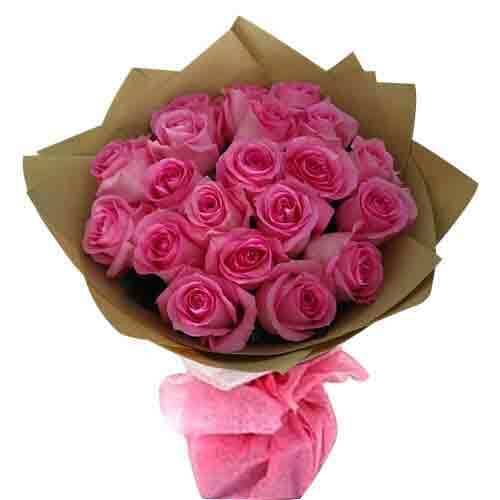 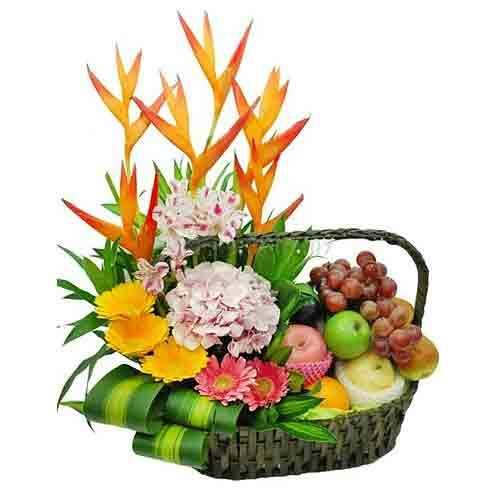 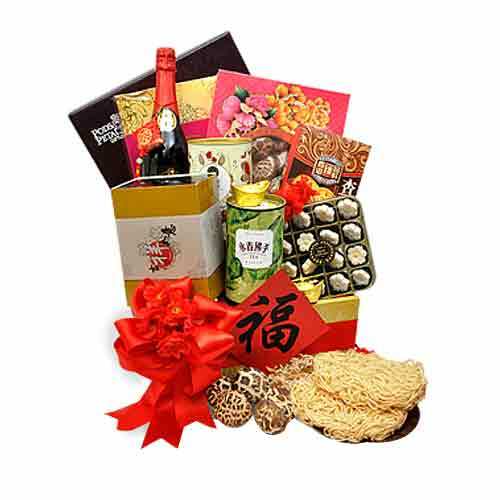 Description: Our savoury hamper will find its way to your Mom's heart. 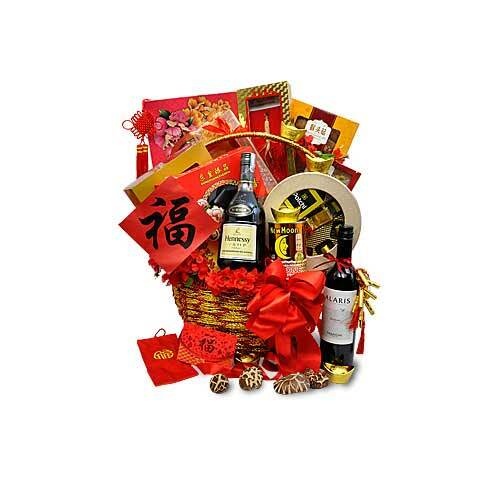 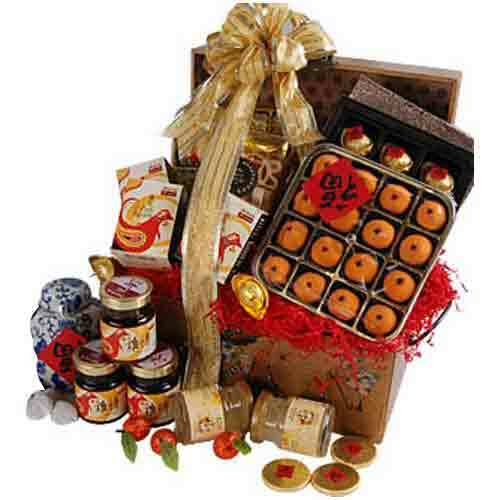 Hamper comprises of Lotus Pandan Mandarin Pastries 108g, Ross Cottage Coated Green Peas �120g, Yunnan Liu Bao Tea in a keepsake Chin' Ceramic 60g, Ross Cottage Sesame Honeycomb Cookies 150g, Eu Yan Sang Essence of Chicken 3 x 70cl, Lo Hong Ka Ginseng Essence �3 x 70cl, Fortune Gold Ingot, Coins & Mandarin Belgian Chocolates 9pcs. 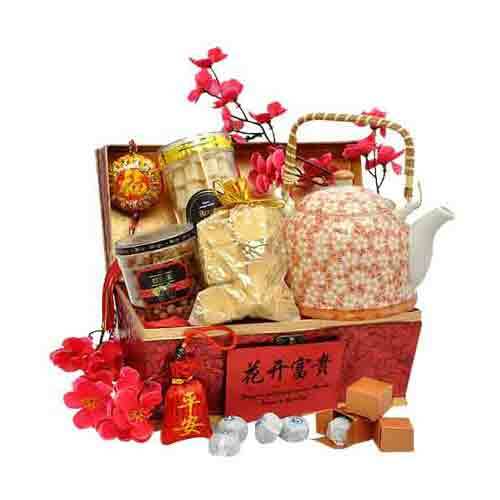 Presented in a keepsake Ming Treasure Chest Wooden Box accessorized with ribbons.